With more than 150 consecutive sold out games and a season ticket holder waitlist of more than 20,000 fans, the Golden State Warriors aren’t exactly accessible. To help bring cardmembers closer to the NBA team, American Express on April 7 produced the first-ever live stream of a sporting event in the U.S. Showcasing the Warriors’ matchup against the San Antonio Spurs at an IMAX theater in Newark, CA, the brand provided Bay Area fans with a supersized screening experience that brought the game to life—all on a night when the Warriors were shooting to tie the record for 73 wins in a single NBA season. 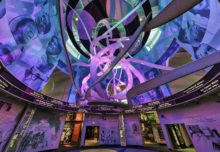 From the get-go, the experience was meant to make cardmembers feel like they were attending the game at Oracle Arena as opposed to a quiet movie theater. Attendees entered the event through a hallway that mirrored the Warriors’ own game entry tunnel to find team swag covering every seat. A live performance of the National Anthem and a classic t-shirt gun that fired out premiums to the audience elevated the arena vibe. 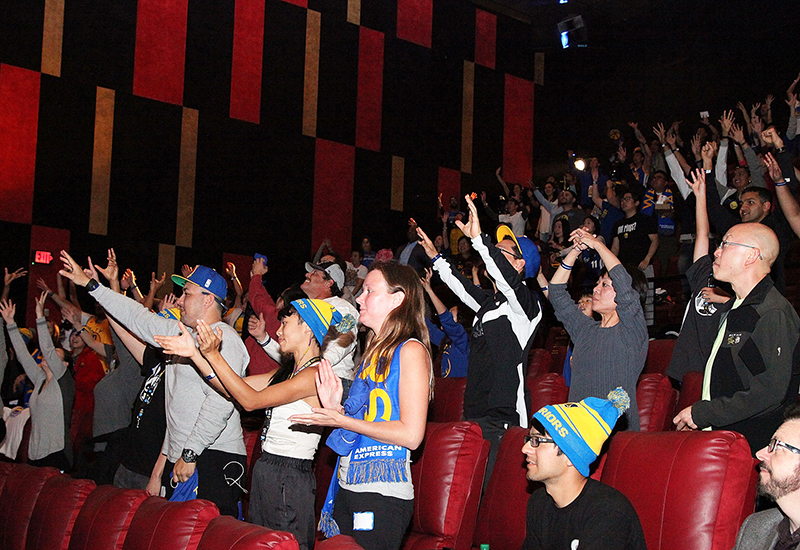 In a play on the typical movie theater experience, fans, collectively referred to as Dub Nation, were also encouraged via periodic announcements to cheer loudly and use their phones to post about the experience on social media using #AmexWarriors. 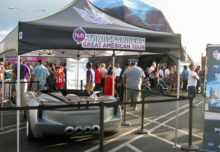 The brand also brought in some local flavor in the form of small food merchants who were set up outside the theater like concessions stands. 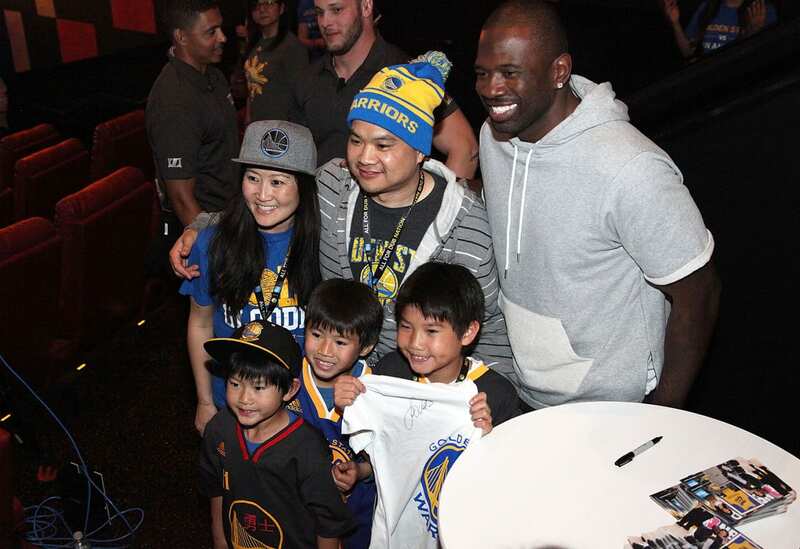 An appearance by former Warriors player Jason Richardson rounded out the experience. 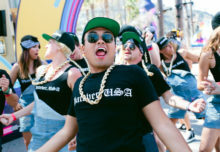 “We always dive deep into insights around our cardmembers and fans to understand what they need, what are they craving out of their fan experience, and elevate that in any way we can,” says Deb Curtis, vp-entertainment marketing and sponsorships at American Express. “[The Warriors] have an incredibly hungry fan base so we wanted to use one of the biggest games of the season to provide an experience for those fans who can’t get tickets, but bring it together in a larger than life way.” Agency: Momentum Worldwide, New York City. Fans were also encouraged via periodic announcements to cheer loudly and use their phones to post about the experience on social media.